Across 2 Cultures - Cross-Culture Parenting and Lifestyle Blog: A day out at Koony Planet. A day out at Koony Planet. It's the long weekend here and initially we wanted to take a little trip to Loire Valley as we borrowed the car from Jean (Etienne's granddad who lived just across from us) but the weather was yucky so we changed our plans. 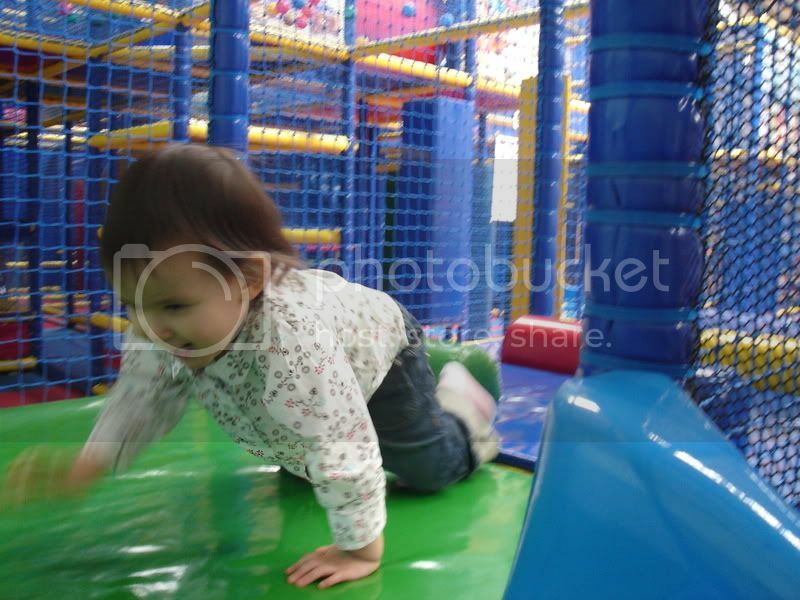 I checked out the indoor play parks around Paris and decided on Koony Planet. So, on Saturday late morning, we made our way there. It took slightly longer than the 30 mins stated on the GPS due to the very heavy traffic (infact, this weekend is supposedly one of the deadliest weekends on the roads in France). However, it was all worth it when we arrived as Laetitia absolutely loved the place. 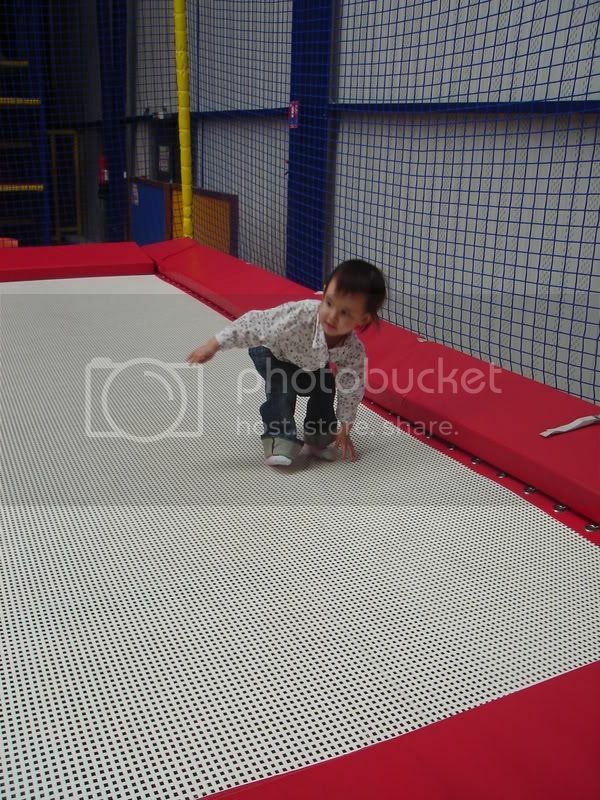 There are specific structures for below three year olds and we started off with the trampolines. Oh boy did she have fun. It was funny though since she has never been on one and did not actually know how to jump on it. She was kind of skipping more then jumping but who cares as long as she had fun. 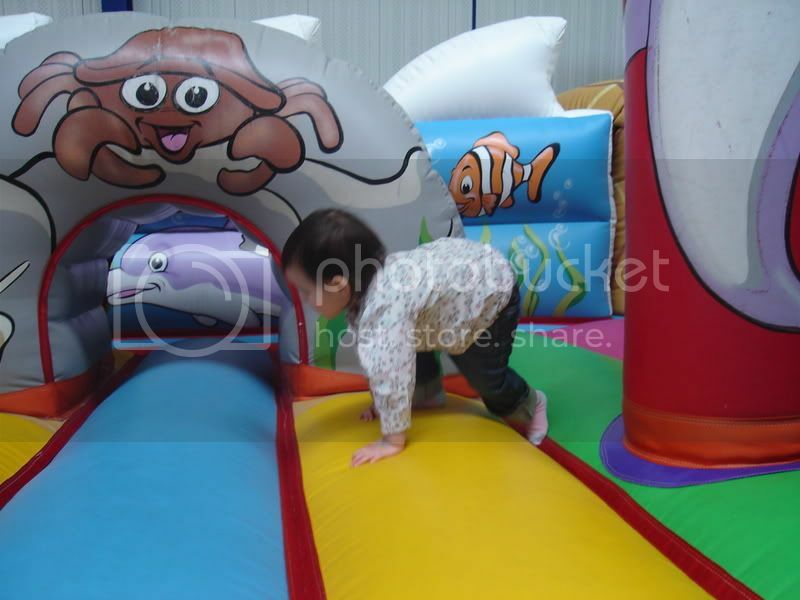 After that, we moved on to the bouncy castle. 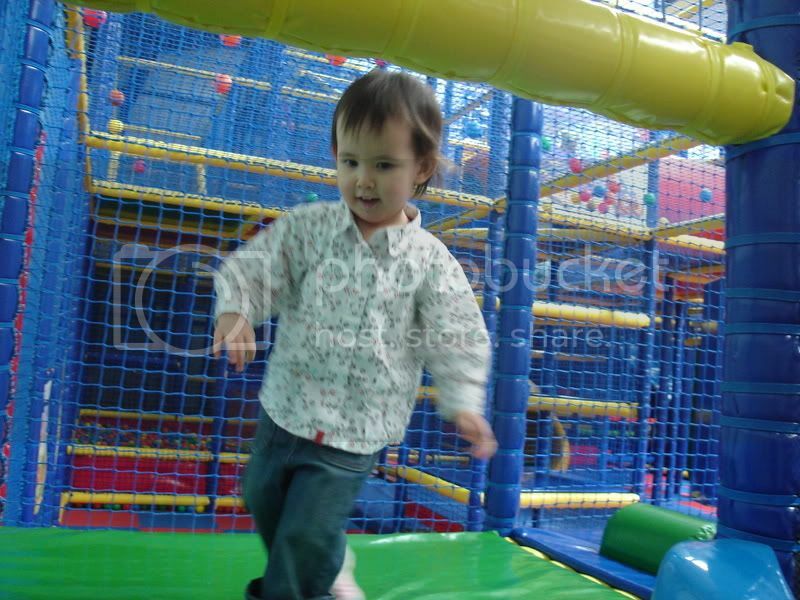 After all that bouncing and jumping, we went off to the little play structure for the 1-2 year olds. 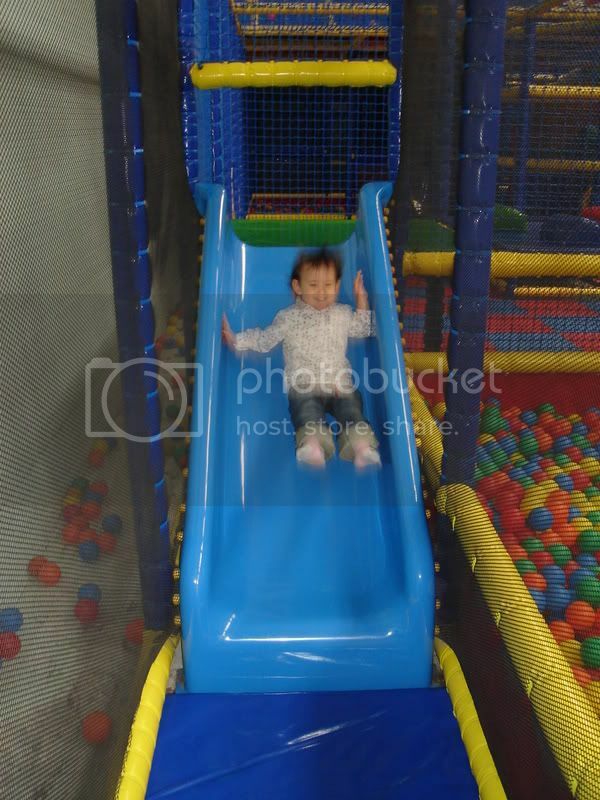 My little darling had so much fun going down the slide as it was much faster then the rest she had been on. 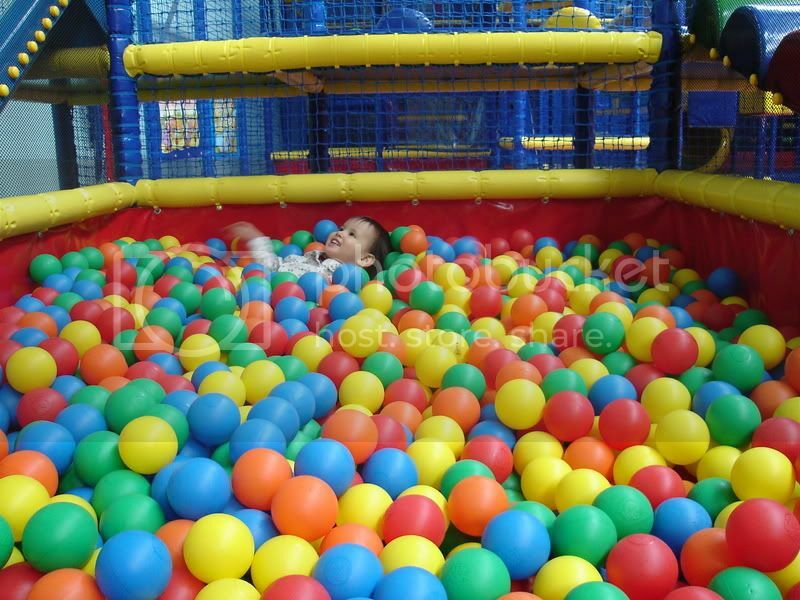 I was quite relaxed about it since the entire area is very safe and built especially for kids her age. 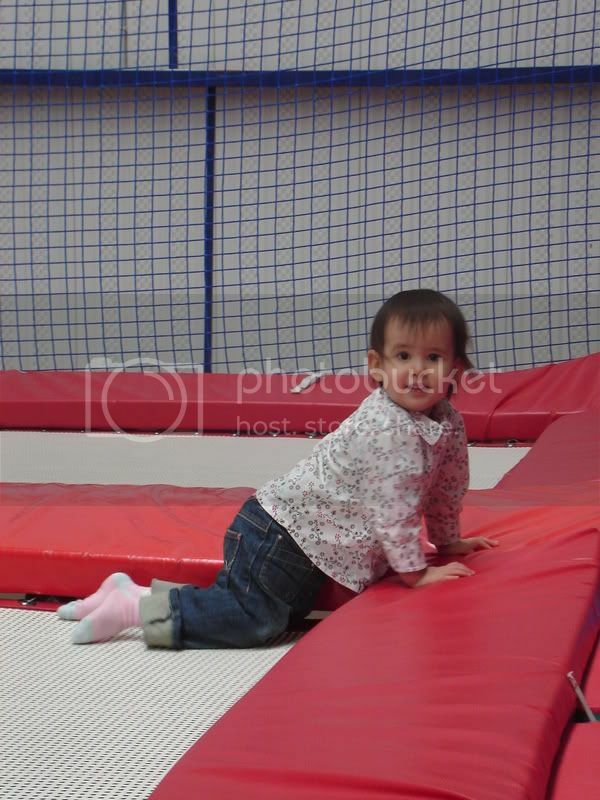 It was fun that the end of the slide had a little bump so she would actually bouncy off it onto the mat. She totally enjoyed herself on that. 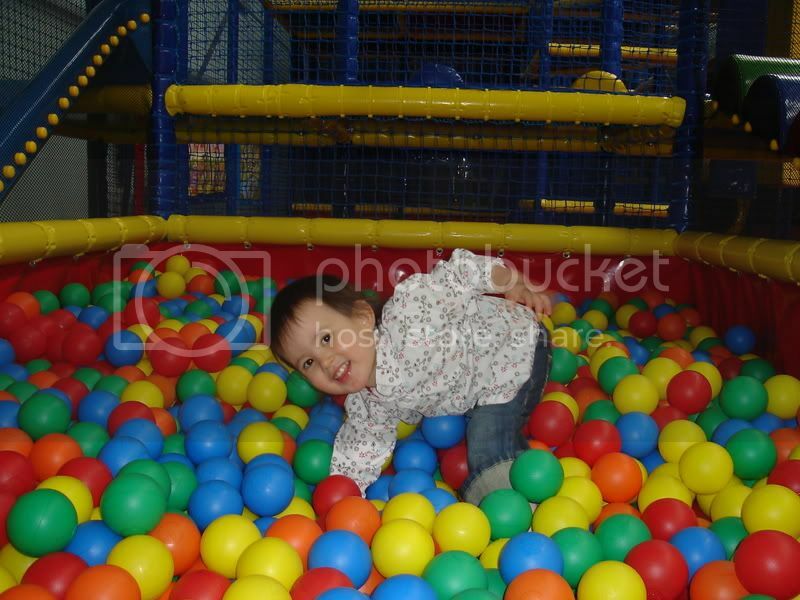 In between going on the slide, she would also throw herself into the ball pool. All in all, it was a really fun afternoon for her. And since it's a special day out, I decided to let her have what I would normally consider junk/fast food for lunch. Anyways, we are not allowed to consume food other than those served in the playarea. So, she basically had sausages (and they were oily and salty), fries (not exactly the healthiest), some ham and bread. After that we packed up and left for our next destination, Ikea. She took a nap as we drove there since she was all tired out. We got her a shelf for storing her toys and a tent to play in from Ikea and finally headed home at about 6.15pm. It is considerably a long day out with Laetitia and boy was I all tired by the end of the day. However, seeing the amount of fun my little pie had, I will be very happy to make the trip again to Koony Planet (I think we'll do it differently the next time by only going to Koony Planet and no where else though :p). Doesn't look like there were any other kids apart from her. She looked like she had fun. We arrived at lunch time so it was slightly quieter. There were some kids but I specifically took pictures only of her as I heard how others might not like their kids pics on public blogs blablabla.... :p Anyways, it became crowded again after 2pm and we quickly left. I thought that it looked quiet too! Makes me regret not going with you that day. Next time! We are planning another trip this month. Will let you know. Meeting Auntie Faith for the first time.